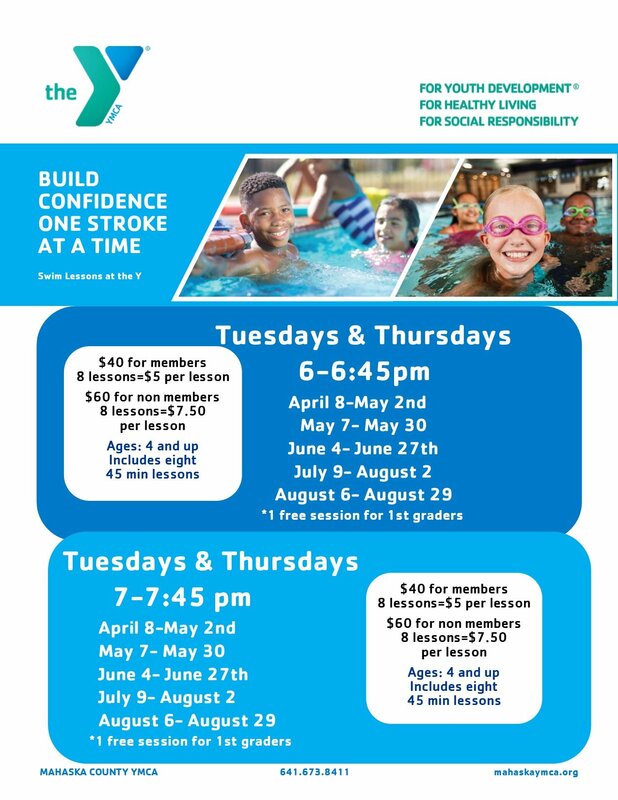 “A-QUAT-IC [uh-KWAT-ik]: of, in, or pertaining to water; taking place or practiced in or on the water.” Whatever your definition, aquatics at the Mahaska County YMCA means more than just a pool. It’s a place to learn a life-saving skill which is also important to a healthy lifestyle; it’s a place where infants are introduced to the water and young swimmers learn endurance; it’s lessons, aerobics, laps, and team events. 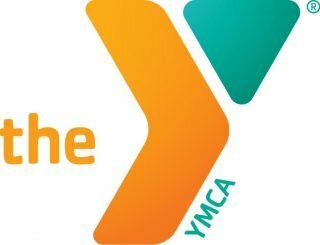 Learn more by clicking on the links below or call the Y for more information. Evening Group Lessons meet twice a week for four weeks. These classes are to encourage 3 and 4 year olds to become comfortable and confident in the pool. This class requires an adult to be in the pool with each child for the lessons. These classes will be held on Saturdays 10:00 to 11:30 a.m. 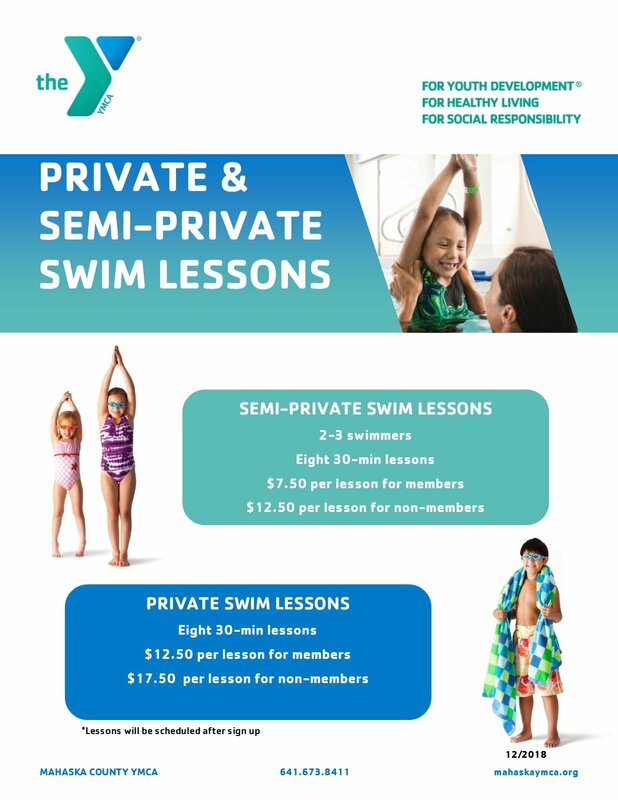 These classes are designed to encourage children to experience, explore, and test the aquatic environment by responding with body movements and emotions with the assistance and encouragement of their parents. 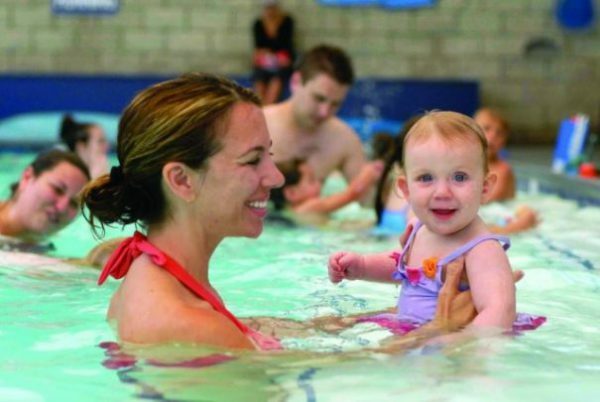 The classes are held Saturdays 10:15 to 10:45 a.m. Waterbabies is designed for children 9 months to 2 years of age. 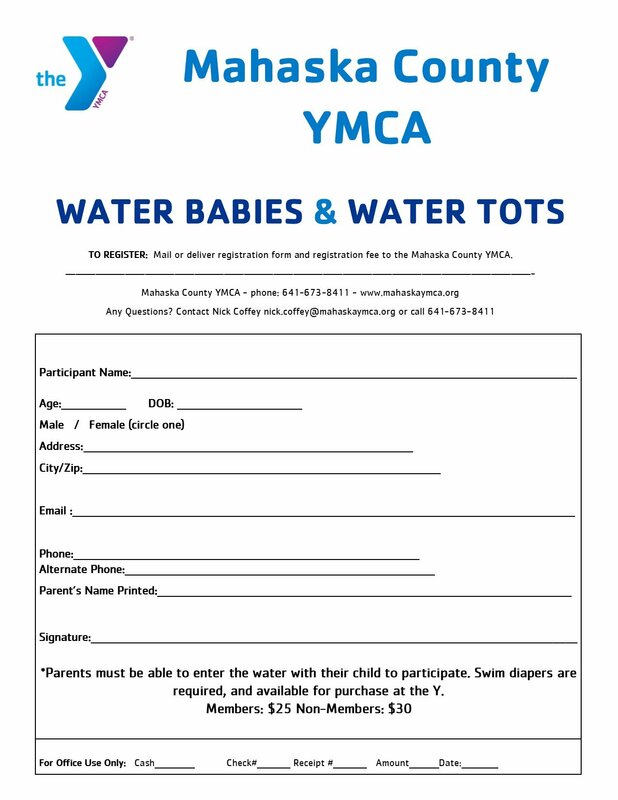 Note: Adult must attend and be in the pool with baby and swim diapers are required. Water Aerobics: This class offers a great aerobic workout while taking the strain off joints in the water. Participants will go through stretching, cardiovascular exercises, and strength training exercises. Each participant will have their own set of water weights to use during the strength training portion. No swimming experience is necessary. Deep Water Aerobics: For a new twist on the classic water aerobics class, try deep water on for size. While focusing on a complete workout with stretching, cardio, core, and strengthening exercises, deep water aerobics is sure to hit the spot for aqua fanatics. All fitness classes are included in the price of membership. 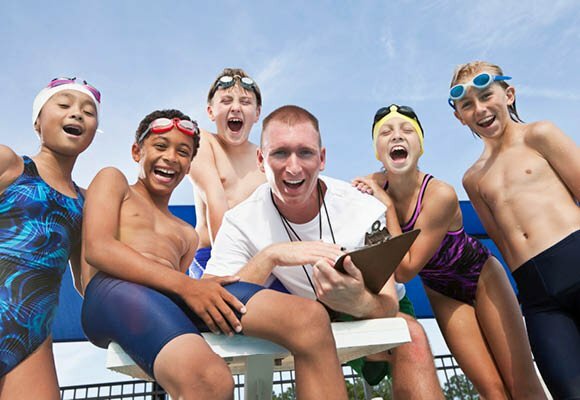 Being part of the YMCA Swim Team is a fun and rewarding experience. Practice times vary and swim team members participate for nearly six months out of the year. More information can be found here.